. 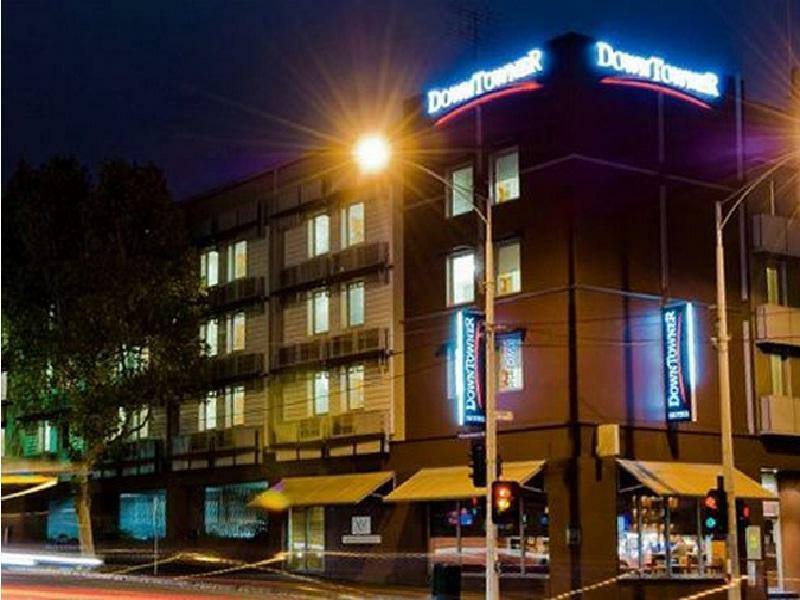 إن الخدمات الممتازة وحسن الضيافة العالي في Quality Hotel Downtowner on Lygon تجعل إقامتك تجربة لا تنسى. هذه بعض الخدمات الموجودة في هذا الفندق: واي فاي مجاني في جميع الغرف, خدمة التنظيف يوميًا, مكتب الاستقبال على مدار الساعة, تسجيل وصول/خروج سريع, تخزين الأمتعة. في الفندق غرف نوم يتجاوز عددها 98، كلها مجهزة بعناية وجمال وبعضها مزود بـ تلفزيون بشاشة مسطحة, اتصال لاسلكي بالإنترنت, اتصال لاسلكي بشبكة الإنترنت (مجاني), حوض الاسترخاء, غرف لغير المدخنين. كما أن مجموعة الخدمات الواسعة الموجودة في الفندق لضمان راحتك تترك لك الكثير من الخيارات لقضاء وقتك أثناء فترة إقامتك. 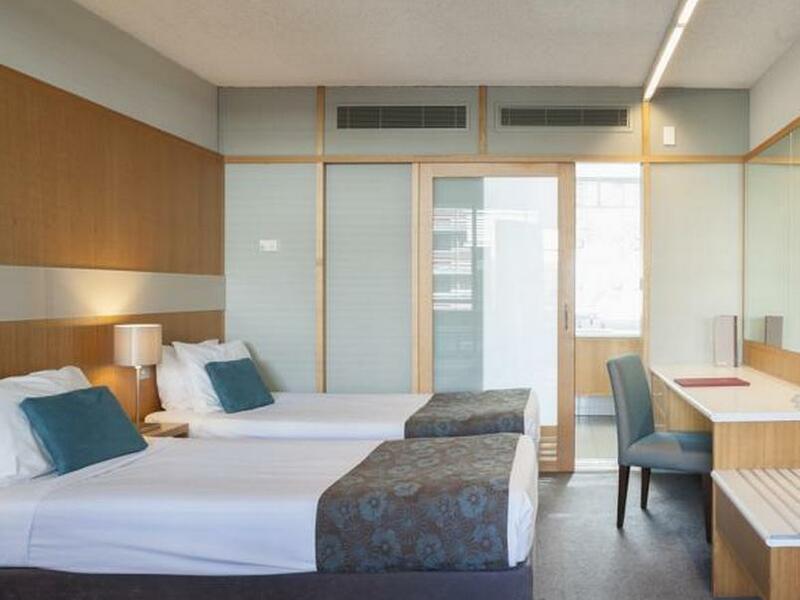 إن Quality Hotel Downtowner on Lygon هو خيار ذكي بالنسبة للمسافرين إلى ملبورن، بما يوفره من إقامة هادئة ومرحة. Location was perfect for us - Lygon street is such a fining dining area, so many restaurants to pick from and Downtowner was right amongst it. The room was very comfortable and good value for price we paid. Would most definitely stay here again if we wanted to be in the heart of Lygon street. The staff were friendly and extremely helpful, the bed was very comfortable. The fridge was a bit noisy and I'm not sure why it was in the room as there was no minibar - nothing in it at all! The place was scrupulously clean, and ideally located for walking into the CBD or into Carlton to dine. Yes there was traffic noise but what do you expect if you book a hotel right on Lyges? If you want peace and quiet go stay in Daylesford... if you want somewhere in easy walking distance of some of the best restaurants, shopping and entertainment in Australia, stay here. My stay at the Quality Hotel Downtowner on Lygon was amongst the most relaxing ad positive I have experienced ever. The rooms are beautiful. I couldn't have been more comfortable or asked for more. The location too, is excellent. The staff were friendly obliging, efficient, courteous and committed to the welfare of guests. I will definitely go back to the Quality Hotel Downtowner on Lygon. I would recommend this hotel without any hesitation. Good. The staff were courteous and helpful. I wasn't troubled by street noise much which had been a concern to me. It was very handy to a Vietnam soup shop, which was great as I had a flu. It is a great location. I didn't eat at the hotel so I don't know what the food was like. We stayed for one night at the Quality Hotel Downtowner on Lygon, and would definitely stay again on a return visit to Melbourne! While, not being lavish like a 5 star hotel, everything we needed was there. The bed was comfortable, and despite being located on a corner, we were not disturbed by traffic. The location was perfect, as we were able to walk to the many cafés along Lygon Street. The breakfast buffet and cooked to order breakfast was delicious! All up, we were very impressed with this hotel, which represents great value for money. We are family of 2 adults and 2 kids, and had stayed 4 nights. - Pros: clean room condition, good accessibility to the dining street (Lygon), free wifi (low speed) - Cons: parking fee, glass wall (a side of the room is glass wall), strict child policy (we had to book an executive suite) - Pros or Cons: decent distance to the central region (about 15 min. walking distance) - I shall choose this hotel again if I revisit Melbourne. We enjoyed our 3 day stay but our only complaint was that after spending each day out on return we were never able to get into our room and had to go back downstairs to reception to get our door keys reactivated for use. Really annoying when you are tired. We were a bit worried about staying in a seemingly budget hotel near Melbourne City but it had been recommended and it reviewed well. The layout is not impressive. It is sort of motel looking with the parking courtyard in the middle and rooms around the balconies. However it turned out to be perfect for what we needed. The service was great. There was no hesitation in allowing early check-in as long as there was a room ready. The room was spacious, clean and comfortable. Internet was included and was a fast connection – a standard a few other hotels should follow. The location was really convenient and while it is close to some nightlife areas it was quiet. Excellent service at the desk, pleasant decor, close to public transport and located in the restaurant precinct in Lygon St. Room was spacious, airy and very clean. Large bright and clean bathroom. Very comfortable bed with clean smelling and comfortable linen. All fittings and accessories in the room working as they should be. Excellent level of comfort and quality for the price. Good location, easy access to free Melbourne public transport. We found the hotel easily without problem. The free tram ride is just 2 streets away. So we can park our car at the hotel and move around Melbourne without the worries of high parking fee in town. A lot of eateries along the street of the hotel. The Quality Hotel was a great place to stay. The rooms are well-equipped and comfortable, with independant heating and cooling. Breakfast is available but you can easily eat in your room if you want to save money. The staff are friendly - there is room for improvement, but their service wasn't bad at all - and the hotel is in a fantastic location. Guests can use the full facilities at the nearby Melbourne City Baths fitness center, which is also excellent. The Quality Hotel Downtowner on Lygon was perfectly situated. Rooms were presented well, with all the necessities present. Very well presented bathroom facility. Staff were friendly and inviting. I will be bringing my wife and 2 children next time. This is the second time I choose Downtowner. With parking lot, it is a great accomandation selection for people like me who rent a car in the airport and travel by driving. The parking fee is terribly high in Melbourne, so don't think that you can park on the street and wake up early next day to move your car. It will be a nightmare. The room is large and very comfortable. I promise that you will have a wonderful dream. Unfortunately, the hotel doesn't provide "free" Wi-Fi. Only a cable Internet is available. Our stay was enjoyable right from the moment we arrive the desk staff made us feel at home, the rooms were large, clean and modern. The only down point being that room service messed up our daughters order and then argued with her over the order. But over all a very enjoyable stay which we would like to repeat in the future. A very straightforward and pleasant hotel: very quick staff at the front desk who were fast to process checking in and checking out, and happy to watch my key while I went for a run. 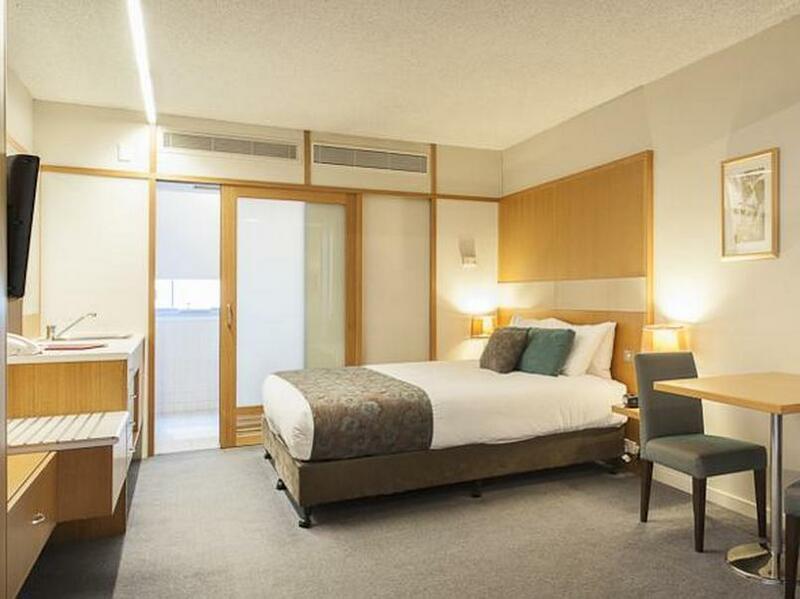 The hotel is on Lygon street, one of the busiest and most interesting parts of Melbourne, with a massive assortment of restaurants literally on your doorstep. I was surprised that the room was tolerably quiet at night, despite its central location; they have sensibly placed the bathrooms on the street-facing walls so the bedroom has an extra layer of shielding. just a great place to stay if visiting Melbourne. centrally located to some great city attractions (Victoria Markets, Zoo, Museum, Football ), right on the restaurant strip and an easy walk to the city. This is a great place to base yourself if visiting Melbourne and within easy access to the Tullamarine freeway and the S/E Freeway. 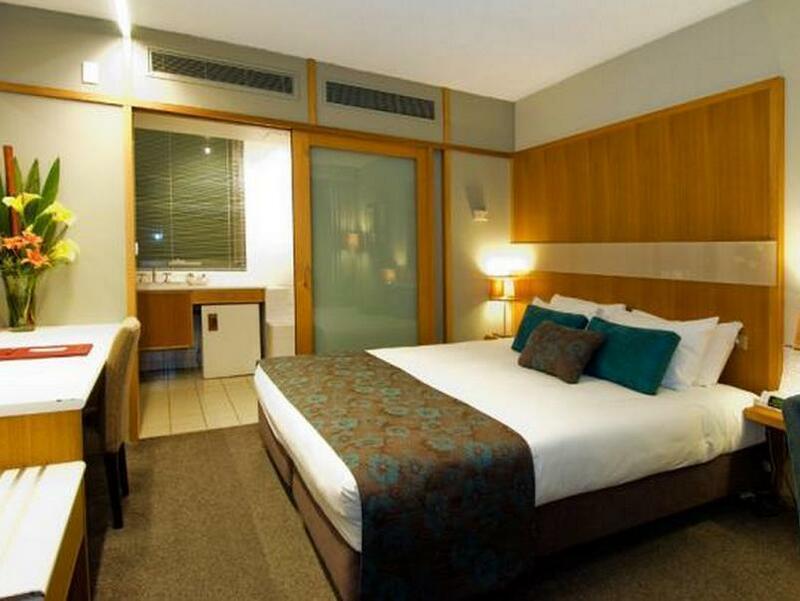 this hotel is located in carlton which is only 10mins walk to the cbd. there are plenty of cuisine restaurants along the street of the hotel located. 5 mins walk to melbourne museum which is a good place to spend in an afternoon. i would specially thankful to the hotel front desk ladies who lend me the phone charges through out my stay in the hotel. Friendly service, comfortable bed, close to great choice of restaurants, banks, cinema & general shops. We felt very relaxed at this hotel and could easily step out to eat at a selection of cafes/restaurants. Great vibe in Lygon Street & close to CBD. We enjoyed our time in this area & the hotel was perfectly situated & we would come here again.